ADCY7 antibody detects endogenous levels of total ADCY7 protein. The antiserum was produced against synthesized peptide derived from internal of human ADCY7. 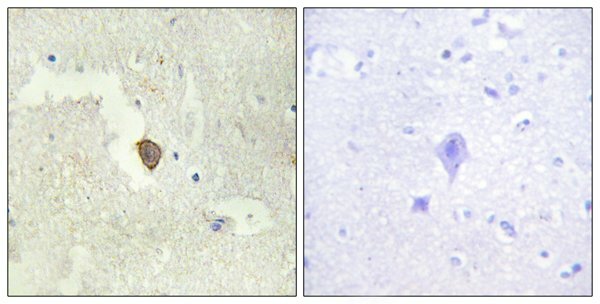 Peptide-+ Immunohistochemistry analysis of paraffin-embedded human brain tissue using ADCY7 antibody. 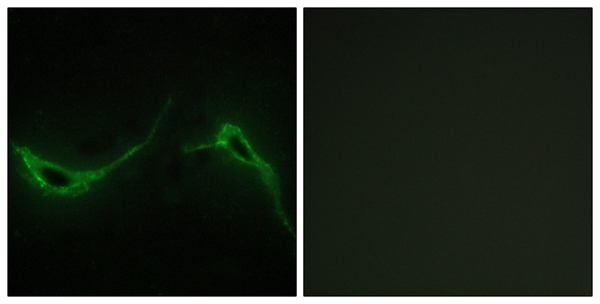 Immunofluorescence analysis of NIH/3T3 cells, using ADCY7 antibody. Nomura N., DNA Res. 1:27-35(1994). The MGC Project Team, nome Res. 14:2121-2127(2004).